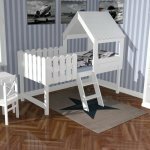 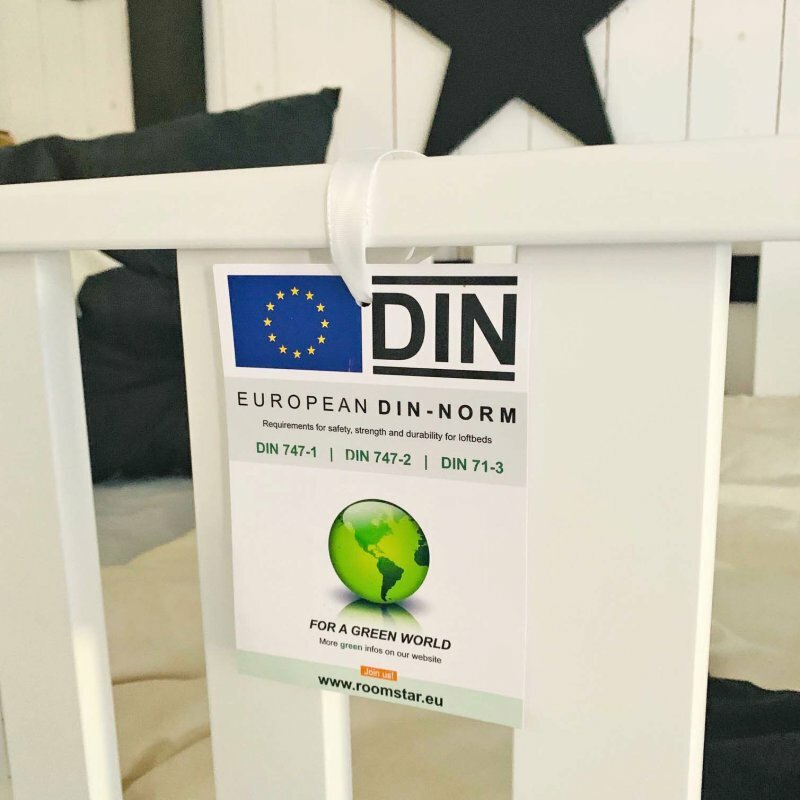 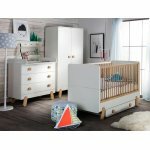 From our exclusive ROOMSTAR Children's furniture family here you get the highest bed of the series, the loft bed ROOMSTAR with an overall height of 185cm! 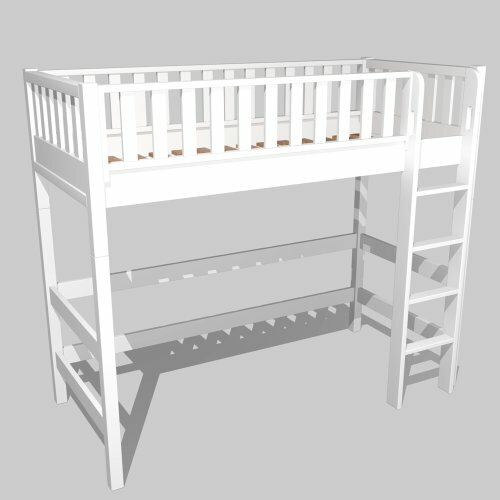 We recommend for this sleeping height in each case a flat mattress to maximize the amount of Raufallschutzes. 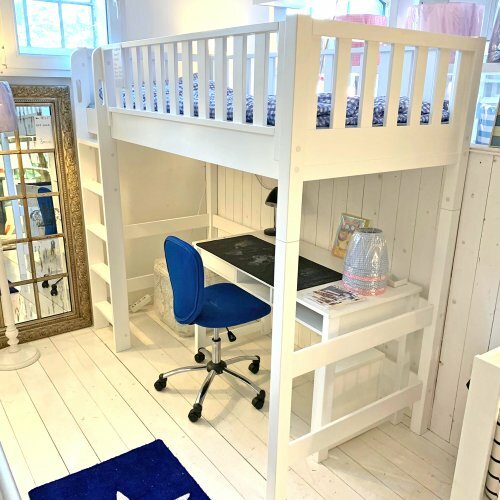 This offers for example, our loft bed mattress ELBBRISE to, or our high end mattress ROOMSTAR AIR. For the construction of the bed, we recommend generally to all beds from this height, wall mounting with corresponding angles that are provided equal in this set. 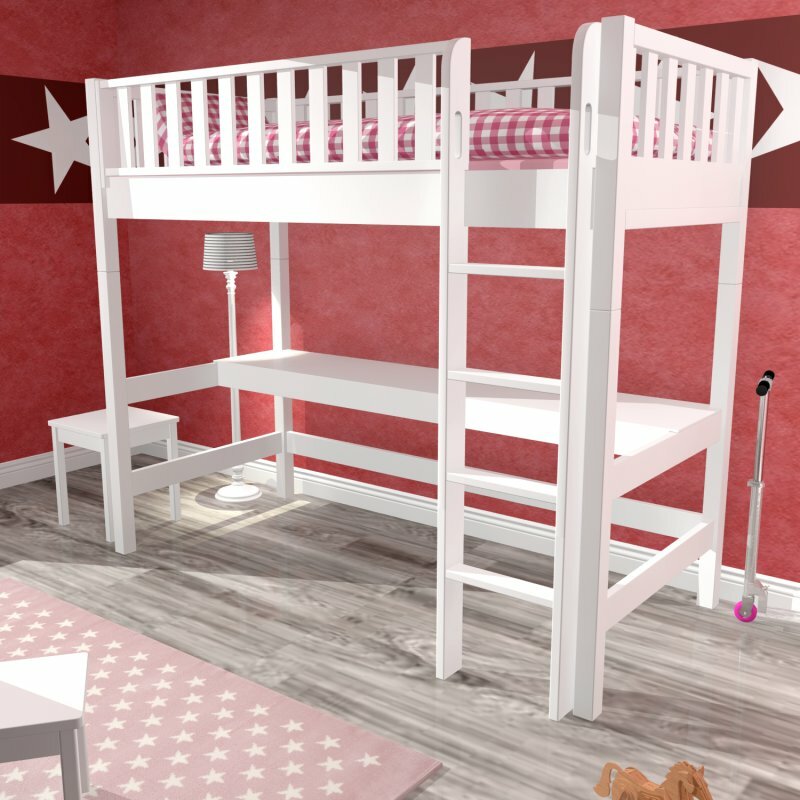 The bed is of course also without wall mounting stable, many parents perceive it as unpleasant but when the bed is "moving".